They say that little girls are made of sugar and spice and everything nice, but sometimes they’re also made of snips and snails and puppy dog tails! When I asked Juniper what kind of birthday party she wanted, she had lots of ideas, and they changed from day to day. When she brought up the idea of doing a puppy party, I knew it could be a lot of fun. So I quit asking her about party themes and got to crafting some easy puppy party decorations. 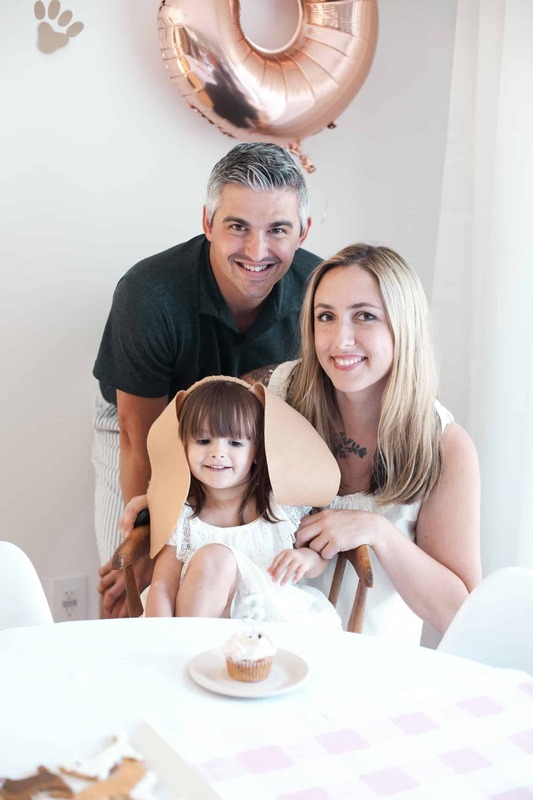 The results were so cute, and most importantly, our kiddos had a blast and Juniper felt celebrated. Last year, I selected a cake off the rack at a local grocery store, and I bought Juniper a balloon. That was about the extent of my party planning. We joked that her birthday party theme was “mom and dad just gutted a house.” So this year I wanted to put more effort into making her birthday party feel special. I spent a little time working on crafts or food each day during the week before her puppy party. 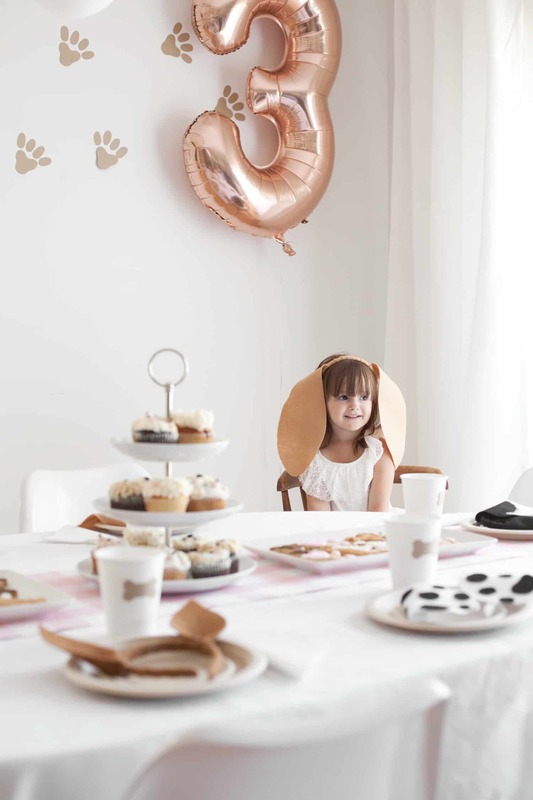 With a little bit of effort and a small budget, her puppy party ended up being such a sweet affair! This guy here is part of the reason we’re all a little dog obsessed, to the point of planning a puppy-themed birthday party! At the beginning of the year I said to my husband, “Can we please finally get a dog this year?” And he agreed! So the girls and I spent months stalking PetFinder until we found a special pair of bonded dogs that we couldn’t leave at the pound. 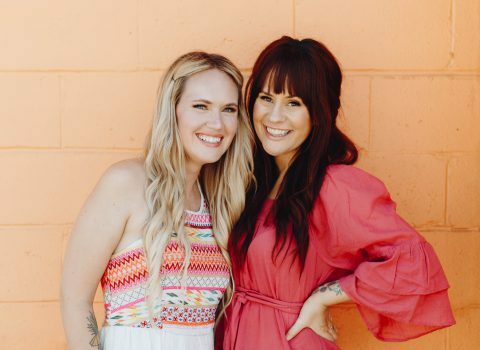 (Meet our dogs at this blog post!) This is Theo, and his buddy Alfie was standing at my feet (like usual) as I was taking this photo. The girls wanted to make dog ear headbands for them, forgetting that, in fact, they already came equipped with dog ears! After seeing the cute cookies Elsie made for Nova, I knew I wanted to try out some fancy cookies myself. This was the most time-intensive part of party prep, but I learned a lot in the process. Next time will be much easier—and yes, there will be a next time! Ha! 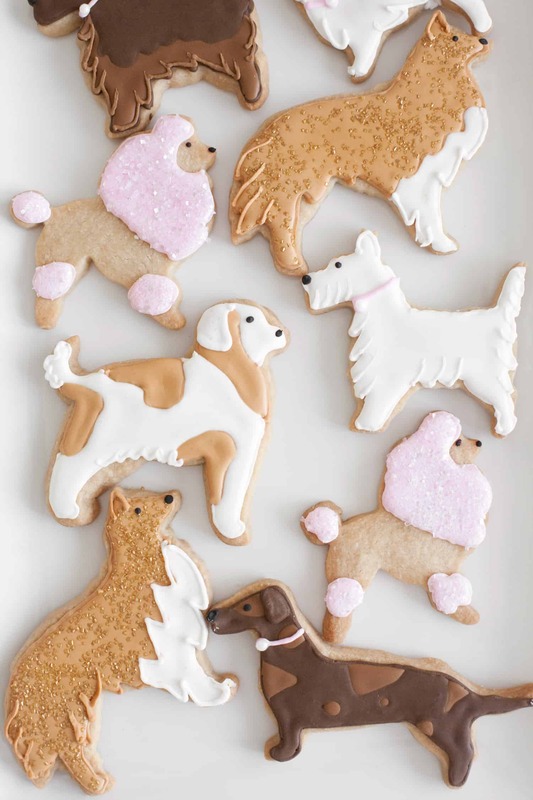 First, I spent some time on Pinterest deciding what kind of cookies I wanted to make, then I bought this dog cookie cutter set. I used this butter cookie recipe to make and freeze the cookies a couple of weeks in advance. Then I used this royal icing recipe to decorate the cookies two days before the party. I purchased a pink plaid table runner for the dining table and the food table, which brought a nice pop of color to the party decorations. Everything else I kept pretty simple so that the dog ears and novelty food could really stand out. 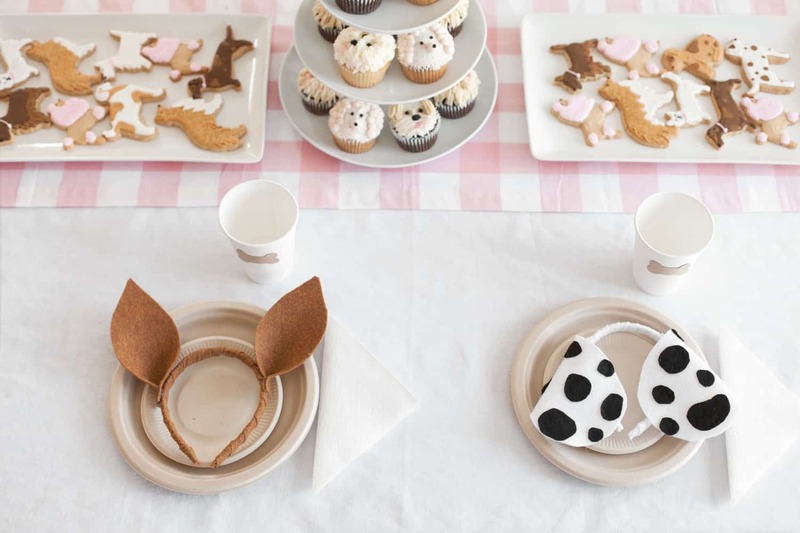 I couldn’t find any cups or plates that I loved with a puppy theme, so I decided to make my own cup decorations and then buy some plain biodegradable party plates. Load your printer with the card stock and print out one sheet of this dog bone template. 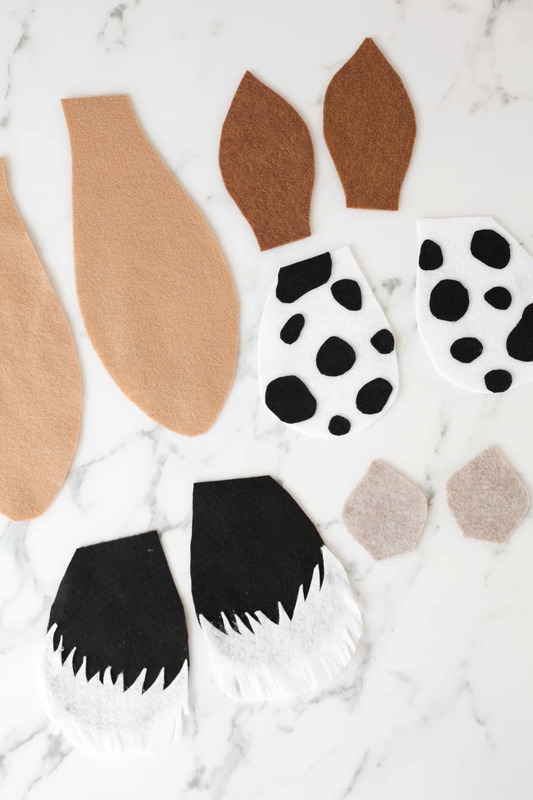 Cut out each dog bone by hand with scissors. 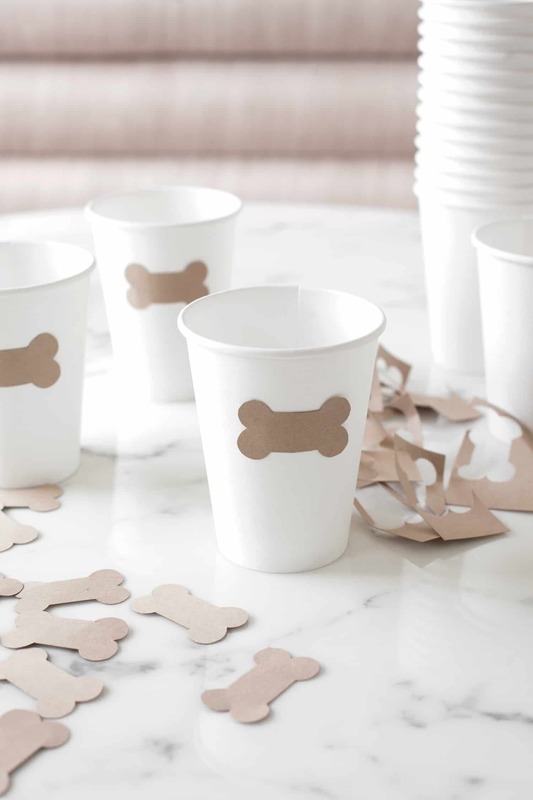 Use glue dots or double-sided tape to affix each dog bone to paper party cups. The dog bones are a cute decorative detail, but they also provide a nice spot for people to write their names on their cups! *Full disclosure: I made the dog bone template out of this clip art that someone else designed. 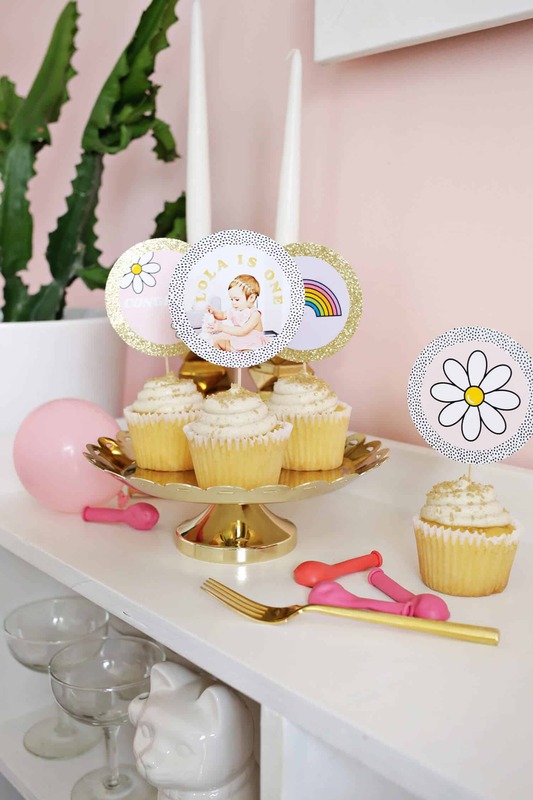 Instead of party hats, we like to make special headbands that go with our birthday party theme. (We still have a few bumblebee headbands from Lucy’s third birthday party.) 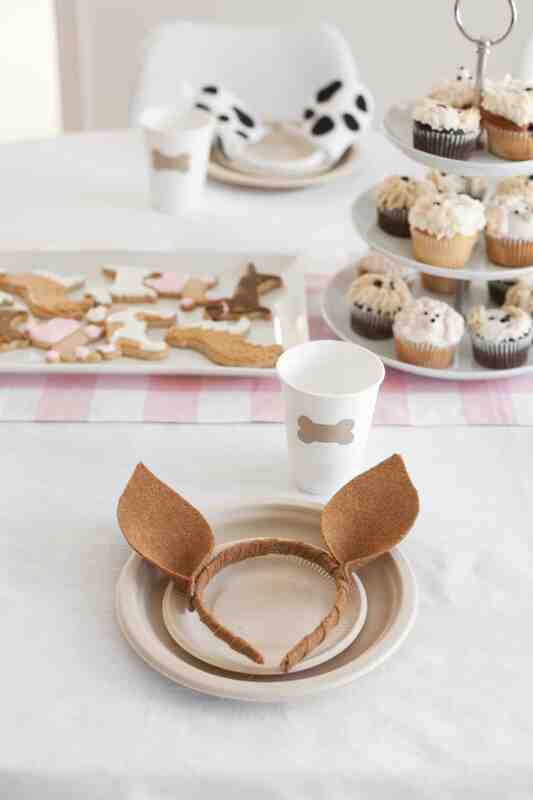 Of course, it was a no-brainer to make dog ears for a puppy party! The girls were obsessed with them. We even got face paint to give the kids dog faces that matched their headbands. The kids ended up getting sidetracked at the party and we didn’t do face paint then, but we did do it the next day! 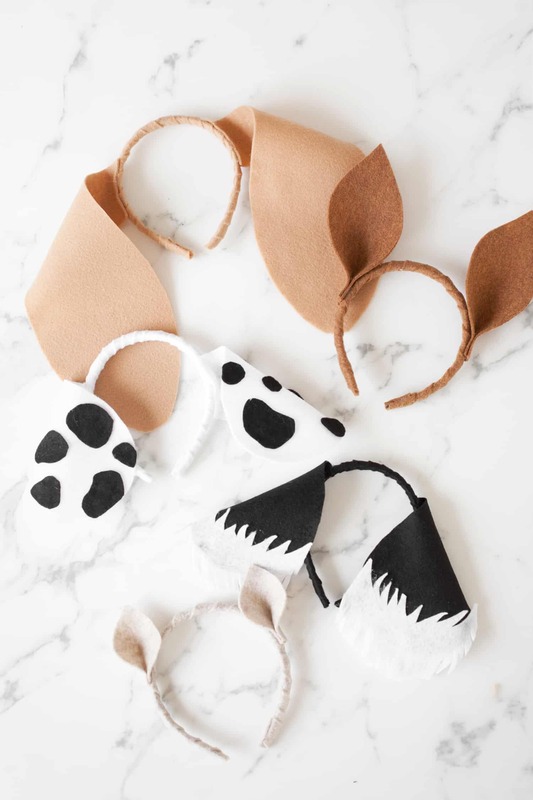 The dog ear headbands were pretty easy to make, and the supplies were inexpensive. Check out how I made them below! 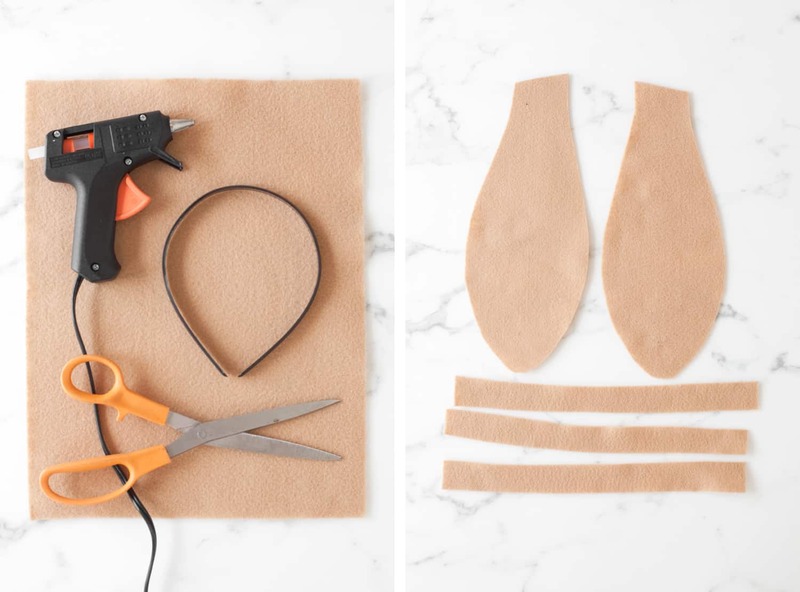 Step One: Cut out two ear shapes and at least two 1″ strips of felt for wrapping the plastic headband. I found that I could get by with only two strips of felt for wrapping the headband in step two, but it took a bit of stretching. I didn’t use any templates for the ear shapes, but you can see below what the shapes looked like that I ended up freehand cutting out of my felt pieces. 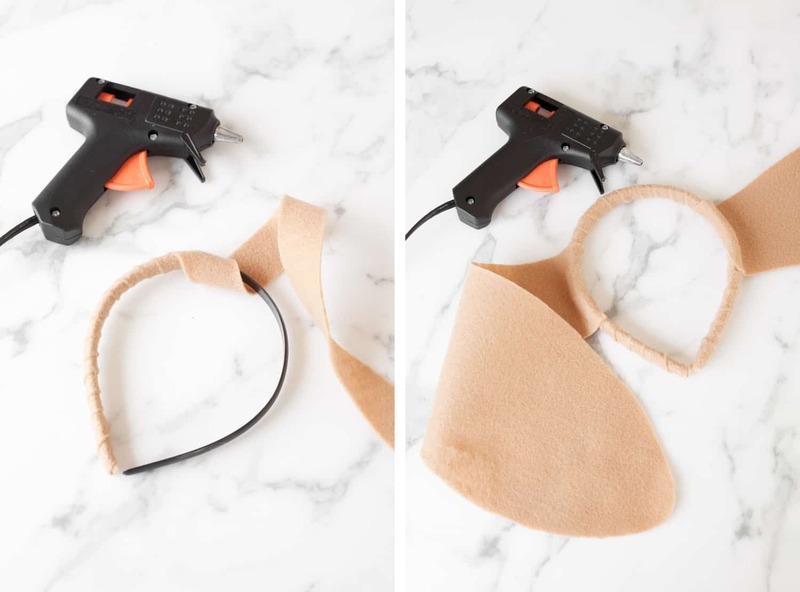 Step Two: Wrap the plastic headband with your felt strips. I used hot glue to affix the end of the strip where I began. After I wrapped the entire headband, I glued the very end, and trimmed the felt with fabric scissors. Step Three: Glue the dog ears onto the headband. You may want to pin them in place first and put on the headband to see if you like the placement. Then you can commit to gluing them into place. I made two headbands of each dog ear style. One I got going, it went pretty quickly! It took me the length of a one-hour podcast to make 10 headbands. The girls requested I try to make dog ears like our dogs, so I added some white fringe to the bottom of some black floppy ears to look like our Theo, and I did try to make Alfie cookies, but really they ended up looking more like Lassie. Oh well, they tasted great and the girls didn’t seem to notice the discrepancies the way that I did. I think it’s important to know your limits when planning a party, and for me, that limit was at cupcakes. I figured I could either make dog cupcakes or dog cookies, but I didn’t want to put myself through having to do both of them. 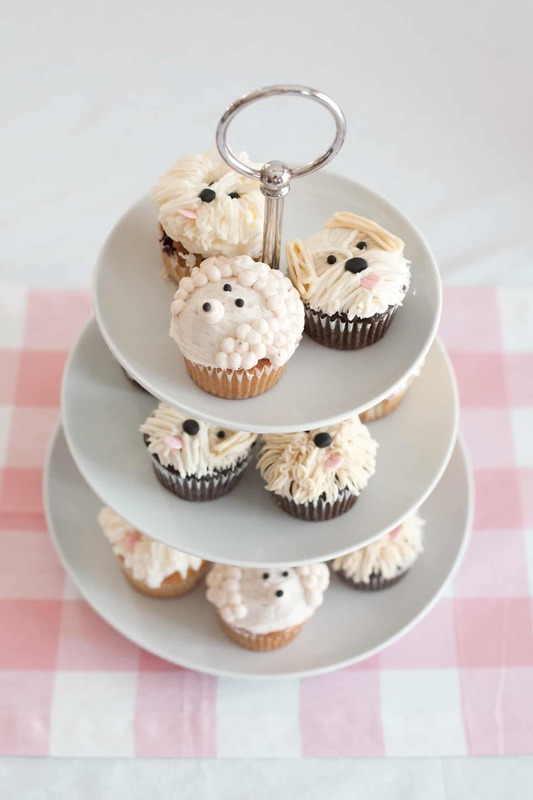 So I ordered these puppy cupcakes (or pupcakes, if you will!) from my friend Shawna, who owns a shop called A Cupcake A Day in Medina, Ohio. They were delicious and I was so pleased with how cute they turned out! The last puppy party detail I added was little paw prints across the walls in our kitchen and dining room. 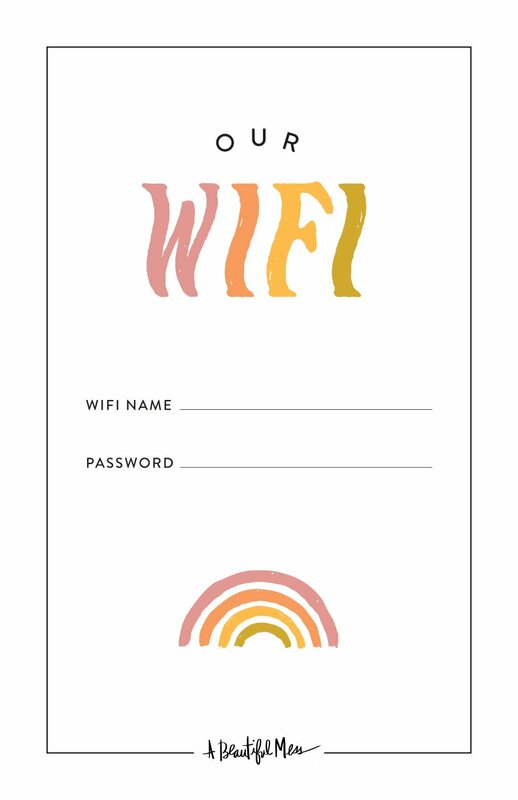 I found a template I liked using Google Images, printed out three per sheet of card stock, and hand cut them. They were stuck to the wall with glue dots, and they came off easily during party cleanup. 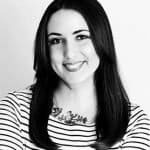 Every year my friend’s daughter throws a birthday party for her favorite stuffed animal, and I’m going to share these ideas! They would work perfectly in that context too! I especially love the piping on those adorable cupcakes. 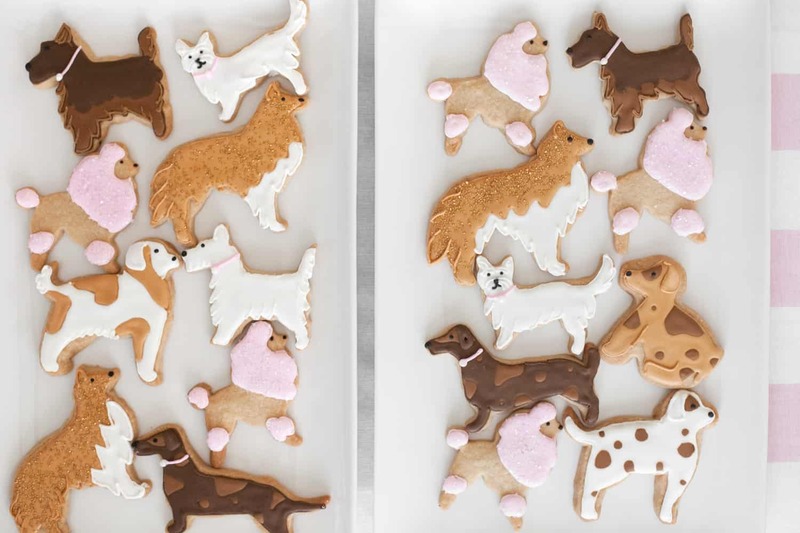 The headbands are soooo adorable, and the cookies look way too good to eat! Oh my goodness! I love this so much. 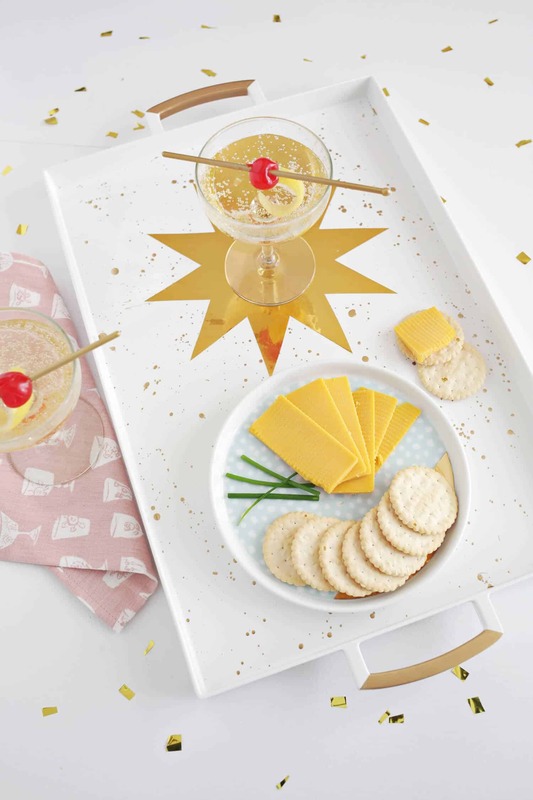 I have a baby granddaughter on the way and I can’t wait to do parties like this with her since all my daughters are (mostly) grown up. I like the puppy theme. It’s so classic! This party is darling! 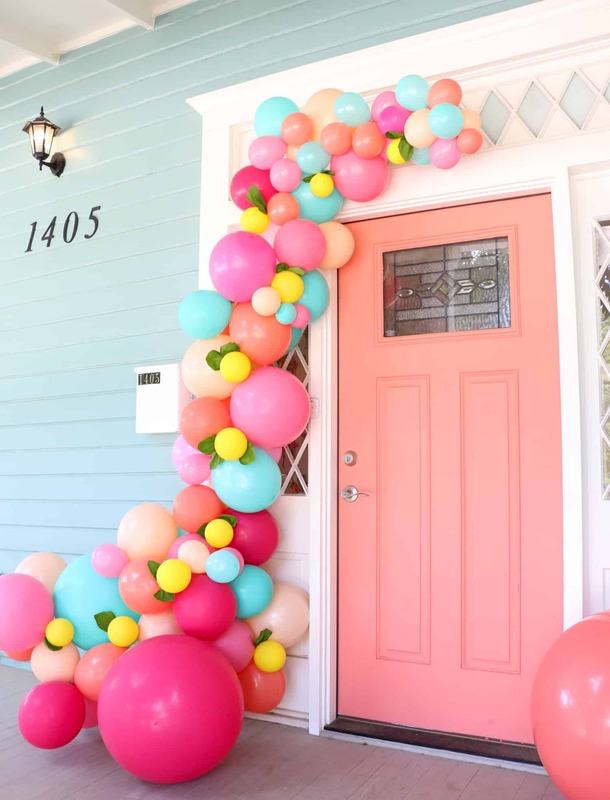 I totally need to do a party like this for my little girl! I can’t handle the cuteness. Just wondering if would be too weird to have a puppy party when I turn 30 next year! Amazing job on the cookie decorating! so cute 😍 i was so confused by the title at first cause my cute lil pup is named juniper too. So cute Juniper looking so pretty.